MEXICO CITY, May 27 2016 (IPS) - In a clay pot, Araceli Márquez mixes tiny Mexican freshwater fish known as charales with herbs and a sauce made of chili peppers, green tomatoes and prickly pear cactus fruit, preparing a dish called mixmole. Mixmole, which is greenish in color and has a distinctive flavour and a strong aroma that fills the air, is one of the traditional dishes of the town of San Andrés Mixquic, in Tlahuac, one of the 16 boroughs into which Mexico City, whose metropolitan region is home to 21 million people, is divided. Márquez belongs to a cooperative named “Life and death in Tlahuac- heritage and tourist route”dedicated to gastronomy and ecotourism. The ingredients of their products and dishes, which are based on recipes handed down over the generations, come from local farmers. Another dish on her menu is tlapique – a tamale (seasoned meat wrapped in cornmeal dough) filled with fish, chili peppers, prickly pear cactus fruit, epazote (Dysphaniaambrosioides) – a common spice in Mexican cooking – and xoconostles (Opuntiajoconostle), another kind of cactus pear native to Mexico’s deserts. 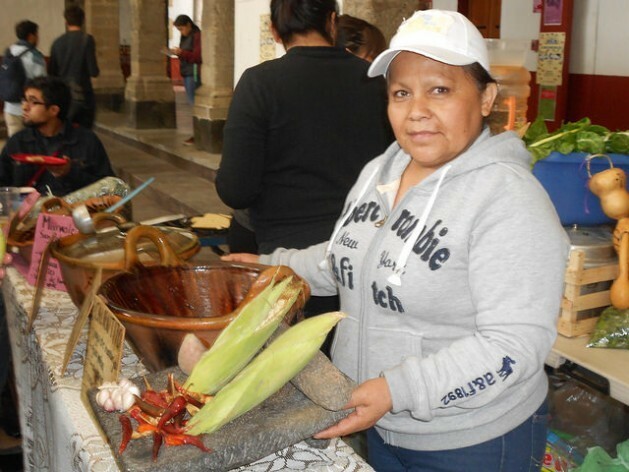 “We are trying to show people thelocal culture and cuisine.The response has been good, people like what we offer,” said Márquez, who lives in the town of San Bartolo Ameyalco, in Tlahuac, which is on the southeast side of Mexico City. Márquez’s meals reflect the wealth of Mexican cuisine and the growing efforts to defend and promote it, in this Latin American country of 122 million people, which is one of the world’s fattest countries, meaning diabetes, hypertension, cardiac and stomach ailments are major problems. Traditional Mexican cuisine, on the United Nations Educational, Scientific and Cultural Organisation’s Representative List of the Intangible Cultural Heritage since 2010, revolves around corn, beans and chili peppers, staples used by native peoples long before the arrival of the Spanish conquistadors in the 16th century. The local diet was enriched by the contributions of the invaders, and is now rich in vegetables, herbs and fruit – a multicultural mix of aromas, flavours, nutrients, vitamins and minerals. Liza Covantes is also dedicated to reviving traditional cuisine based on local products. With that aim she helped found a bartering and products cooperative in Zacahuitzco, in the south of the capital, in 2015. “We are a group of people working for the right to a healthy, affordable diet who got together to foment healthy eating. We’re exercising the right to food, health and a clean environment,” she told IPS. The cooperative brings together 45 families who produce food like bread, cheese and vegetables. To sell their products, in November they opened a store, Mawi, which means “to feed” in the Totonaca indigenous language. “We don’t accept anything with artificial ingredients,” said Covantes. The cooperative sells six-kg packages of food, which always include vegetables. Mexico’s world-renowned cuisine is a significant part of this country’s attraction for tourists. To cite a few examples of the rich culinary heritage, there are 200 varieties of native chili peppers in Mexico, 600 recipes that use corn, and 71 different kinds of mole sauce. But this culinary wealth exists alongside the epidemic of obesity caused by the proliferation of sodas and other processed food high in added fats and sweeteners. The 2012 National Survey on Health and Nutrition found that 26 million adults are overweight, 22 million are obese, and some five million children are overweight orobese. This generates growing costs for the state. The survey also found that over 20 million households were in some category of food insecurity. “We have a great variety of fruits, vegetables and grains; they’re important sources of fiber, vitamins, protein and minerals. Their costs are low and they have benefits to the environment,” said Trejo, the senior consultant on nutrition in the United Nations Food and Agriculture Organisation’s (FAO) Mexico office. FAO declared 2016 the International Year of Pulses – one of the key elements in the Mexican diet. But traditional cuisine not only has nutritional value; the preparation of foods employs more than five million people and the country’s 500,000 formal restaurants generate two percent of GDP in Latin America’s second-largest economy. To improve nutrition and defend an important segment of the economy, in August 2015 the government launched a Policy to Foment National Gastronomy, aimed at fostering and strengthening the country’s gastronomic offerings, fomenting tourism and boosting local and regional development through restaurants and the value chain. Can Amaranth Fix Mexico’s Dual Dietary Disasters? But its measures have not yet yielded clear dividends. The Dietary Guidelines launched by the United States in 2010 state that people with traditional plant-based diets are less prone to cancer, coronary disease and obesity than people with diets based on processed foods. Márquez is calling for more support and promotion. “There is assistance, but it is not enough. 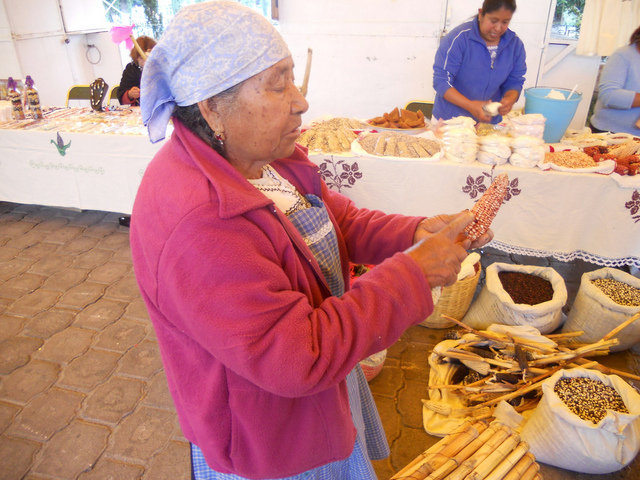 I hope the federal programme brings results,” said the cook, whose goal this year is to make a Tláhuac recipe book. For Trejo, the FAO consultant, part of the problem is that a segment of the population erroneously associates traditional food with what is sold by street vendors or food stalls. “The country has to foster its gastronomy and do away with false ideas of combinations of fats, sugar and industrialised food that increasingly reach every corner of the country and put traditional cuisine at risk,” she said. 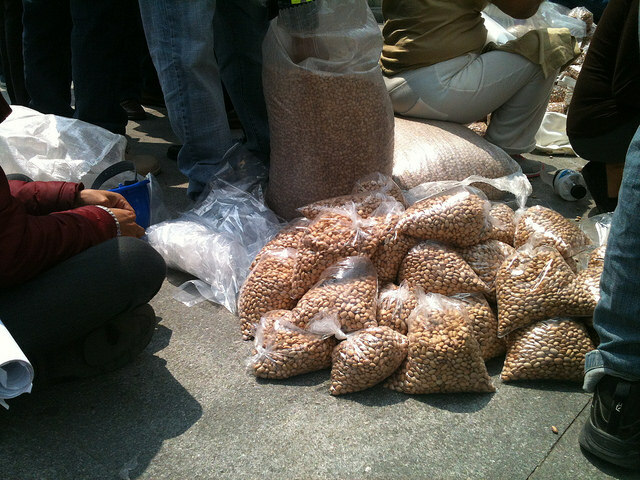 Initiatives in different parts of Mexico have pointed in that direction, like in the southern state of Chiapas, one of the country’s poorest, where several organizations launched in April 2015 the campaign “Pozol project: eating healthier as Mexicans”, aimed at fomenting the consumption of pozol, a nutritious fermented corn drink. On Apr. 28, the Mexican Senate approved the draft of a Federal Law to Foment Gastronomy, which outlines measures to strengthen the sector. The bill is now pending approval by the lower house of Congress. “Collectively we can defend these principles and create a social trend that boosts the nutritional values of our gastronomy, to also benefit local producers,” said Covantes.